Surrounded by mountains over 1000m high, the Tokushima Prefecture village of Higashi-Iya is nestled in the center of Shikoku. 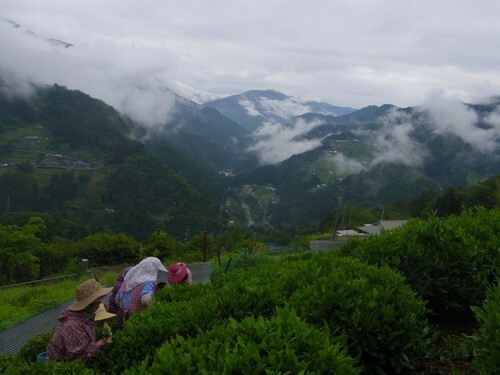 Within the village's hillside hamlets, which stretch up the mountains between 500m and 1000m, tea grows naturally and abundantly. 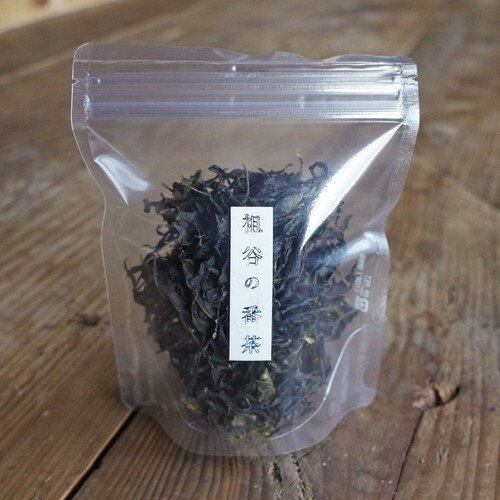 To this day it is processed by hand the same way it has been for centuries. Known as “Iya Bancha”, this tea is the daily drink of the villagers, such that for them, it has become an essential part of life. 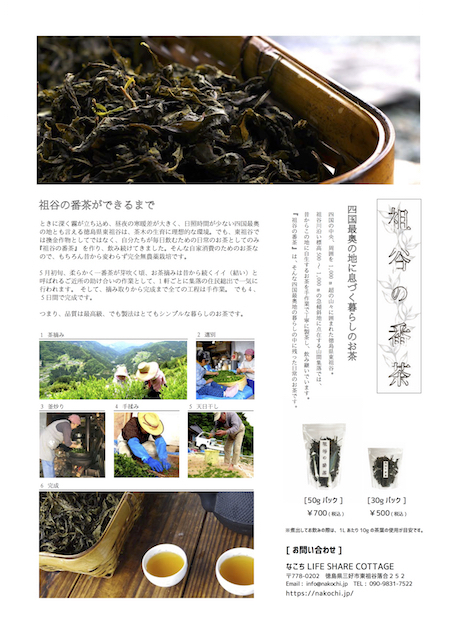 The village of Higashi-Iya in Tokushima Prefecture is ideal for growing tea, with its misty mountain fog, distinct day to night temperature differences, and how the steep mountains often shroud the fields in shadows. 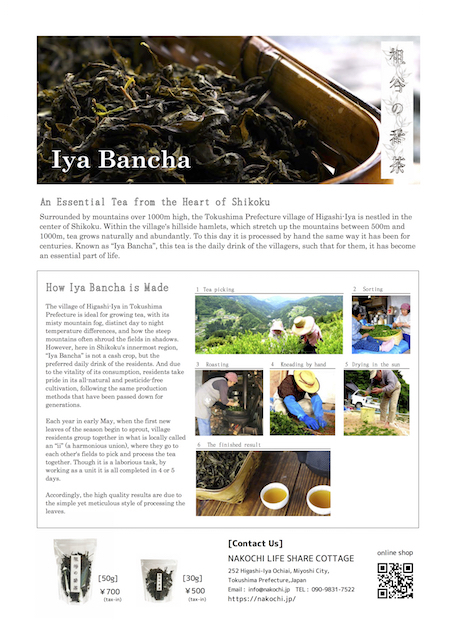 However, here in Shikoku's innermost region, “Iya Bancha” is not a cash crop, but the preferred daily drink of the residents. And due to the vitality of its consumption, residents take pride in its all-natural and pesticide-free cultivation, following the same production methods that have been passed down for generations. 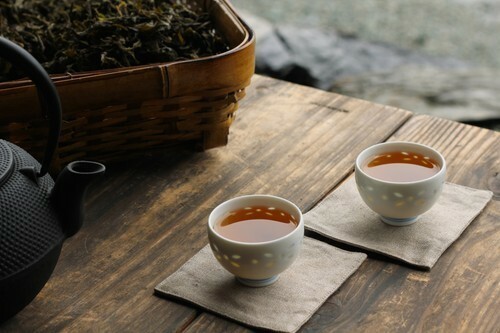 Each year in early May, when the first new leaves of the season begin to sprout, village residents group together in what is locally called an “ii” (a harmonious union), where they go to each other's fields to pick and process the tea together. Though it is a laborious task, by working as a unit it is all completed in 4 or 5 days. Accordingly, the high quality results are due to the simple yet meticulous style of processing the leaves.